Aaron Sparrow, the writer for Joe Books’ Darkwing Duck series, corresponded with Comic Art Community about his career, his love of Darkwing, the return of the character at Boom! Studios and now Joe Books, and the future of the title. ComicArtCommunity.com: Aaron, for those that maybe unfamiliar with your work, could you tell us a little bit about your career up to this point? I joined Tokyopop as a freelance copy editor, under managing editor Jill Freshney. 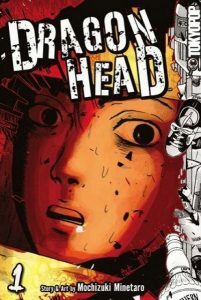 Eventually, some of the other editors took a liking to me, and to suggestions I offered on some of the script translations, so I was given several adaptations to write as well. 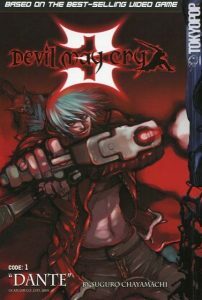 I did adaptations for books like Devil May Cry, Dragon Head, King of Thorn, Rebirth… all books I’m very proud to have worked on. CAC: Would you speak on the transition from becoming an editor to a writer? Also, how was your experience with Tokyopop versus Boom! Studios? AS: I’d written stories for as far back as I can remember, so I was far more comfortable stepping into that role than I was as editor. Copy editing is no big deal, but the jump to regular editor had a steep learning curve. Tokyopop was one of the best working experiences I’ve had in the comics industry. I know some people have their war stories, but I was low enough on the totem pole to not have any of those battle scars! (Laughs). I worked under Jill, Rob Tokar, Mark Pannicia, Bryce Coleman, Paul Morrissey… all people who are great to work with, and whom I absolutely adore. Rob Tokar even took me under his wing, and was trying to up my game to become a full editor. Unfortunately, I was downsized from copy editing before that could happen, but they took good care of me, and loaded me up with adaptations so I didn’t end up living in a dumpster at some skeevy carnival. Boom was very different because I was sort of thrown to the wolves. I was hired the same day I was interviewed, and put to work that same day. There was no structure. I was handed an entire line of about 12 licensed books with the minimum of training, and expected to make gold. I was working 60+ hours a week for 30k, and would still get an incredulous “You’re leaving? !” when I got up to go jump in traffic for my two-hour commute home. So yes, it was VERY different… like being in a warm, cozy sauna and then thrown into an icy lake. (Laughs) I did the best I could, but I burnt out quickly. Despite that, I think my (eventual) team and I did the best work we were allowed to do. Fortunately, I’d made a good impression on people at Disney, so I would eventually get a chance to present some of the work there with the quality we originally intended. From there, I went to work for Brent Erwin and David Hedgecock at Ape Entertainment. That was a fun company to work for. They let me work on their DreamWorks comics line, which was exciting, and I made some friends in publishing at DreamWorks and got to visit the lot several times. Brent and David are both great guys… they really love comics, and it showed. Despite being a smaller company, they paid me better, treated me better, and they tried to do their best by their creatives, which is obviously something I’m very big on. 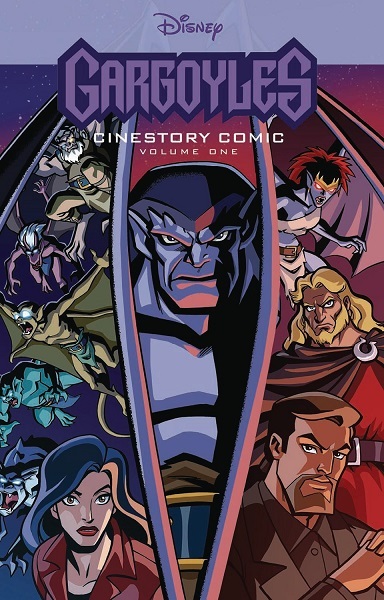 A few years later, Adam Fortier, who was VP of Publishing at Boom while I was there, helped start Joe Books, and brought in a lot of the talent he’d worked with at Boom. 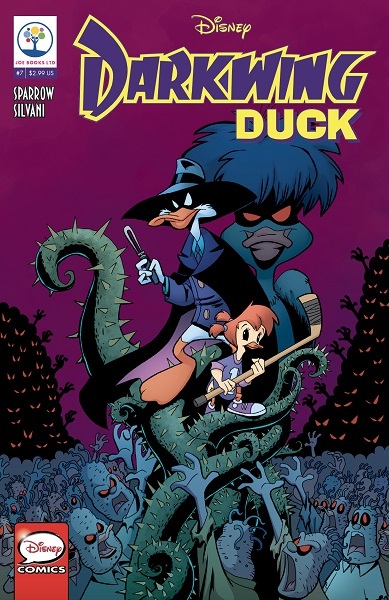 He set me up with editorial work, and of course, James Silvani and I got to return to Darkwing Duck! CAC: In recent years, your name has been closely attached to the character Darkwing Duck. Did you experience Darkwing during the Disney Afternoon years or did you come upon him sometime later? What attracted you to the character? AS: I used to watch all of the Disney Afternoon shows after school! My brother and I would sit in front of the TV, mesmerized. 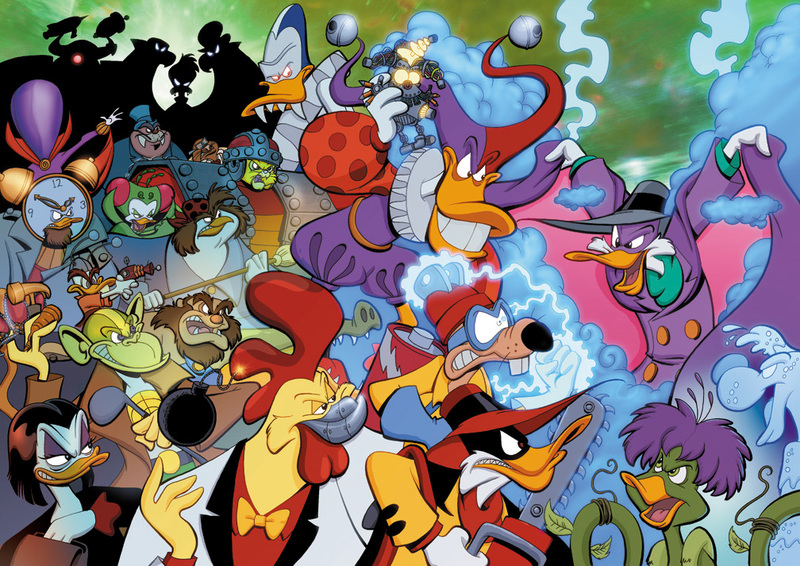 It started with DuckTales, of course (Returning with a new show in 2017! 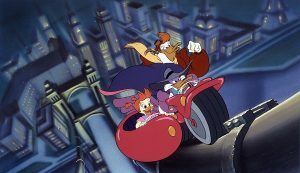 Shameless plug) and when Darkwing debuted, my mind was blown. It was perfect for my sensibilities, with it’s focus on action and comedy, but still infused with that Disney heart. I was obsessed. I bought every Darkwing item I could find… action figures, breakfast cereal prizes, you name it… I even own a Darkwing Duck fanny pack. But I’d never wear it. I’m not The Rock. CAC: I picked up Joe Books’ amazing Darkwing Duck: The Definitively Dangerous Edition collecting the Boom! Studios comic book series and thoroughly enjoyed it. Could you talk about how that collection came about, your contributions to it (alterations in the collection), and the road to producing a new Darkwing Duck series for Joe Books? AS: I’m not entirely clear on how it came about except that Joe Books wanted to print some pick-up material. I’m told Disney initially balked at a lot of the Boom produced material because of various things that were printed without Disney Publishing’s approval, which had ended in the termination of the license. James and I had, of course, done a lot of ghostwriting on the Boom series, but our final dialogue was never used. 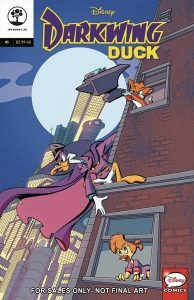 We had previously restored our intended vision for a German reprinting of the Darkwing material, and I guess someone noticed, because the Definitively Dangerous Edition was approved to go forward with our scripts. We were thrilled, of course… and James got to go back and revise art on things he previously hadn’t had model sheets on, or pages he simply felt he’d been rushed on. I think it came together beautifully. It was a vindication. CAC: I understand you met with Tad Stones, Darkwing Duck’s creator, while working on Darkwing at Boom! What was it like meeting him and did it impact your approach to the series? Do you remain in contact with him, professionally or otherwise? AS: Tad is great. I wanted to contact him before we announced the series, but we were forbidden to, in case Tad was a miserable crank who’d denounce the entire thing beforehand. (laughs) Fortunately, Tad turned out to be this magnanimous guy who was excited that Darkwing was seeing new life, and he was full of ideas and advice. I don’t think we’d have nailed down Gosalyn’s character quite as well if we hadn’t benefited from his insight. I consider Tad a friend and a mentor. We just did the very first Maui Comic Con together, and he and James and I spent the next several days tooling around the island and eating local cuisine. We even got to see Dr. Strange in the company of comic legends Steve Leialoha and Trina Robbins! CAC: There seemed to be a difference in approach to the Boom! series and the Joe title. The Boom! 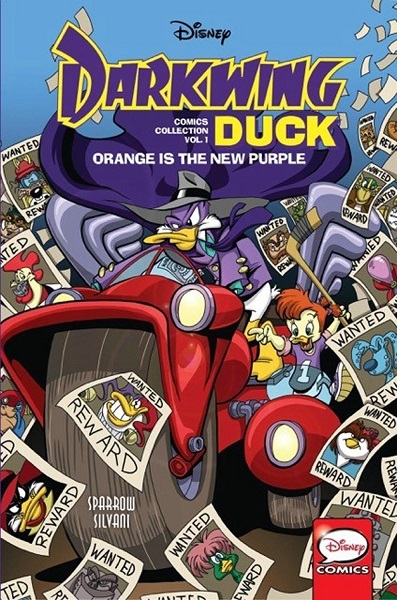 books tended to employ story arcs almost exclusively but with Joe, following the initial “Orange is the New Purple,” Darkwing Duck featured single issue stories with plot threads connecting them together. Was this a conscious decision and, if so, why the change in approach? AS: There were actually a few reasons for this. Firstly, the 4-issue arcs were creatively problematic. You sometimes had to rush a story, or draw out a story, to fit an arbitrary format, and we wanted more freedom than that. Secondly, every comic is someone’s first comic. We wanted to tell single story adventures that a kid could pick up and digest without feeling he had to do the homework. 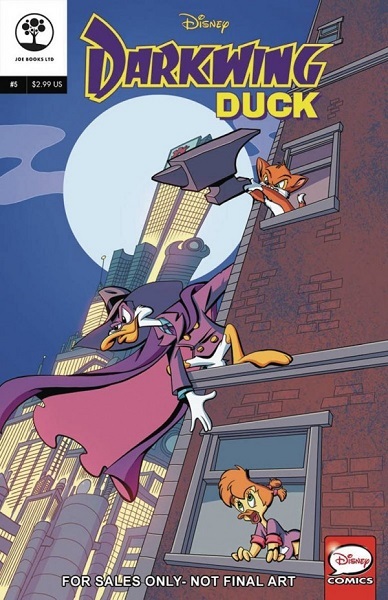 There was also the idea that some other publications might eventually want to feature a Darkwing Duck story, so by editing one or two pages, you could reprint them as stand-alone adventures. And finally, we really wanted the comic to honor the show. By the very nature of the Boom series format, every threat had to be this huge threat, and sometimes Darkwing just fights a 1.21 gigawatt rat who’s stealing magnets to build a bigger magnet. 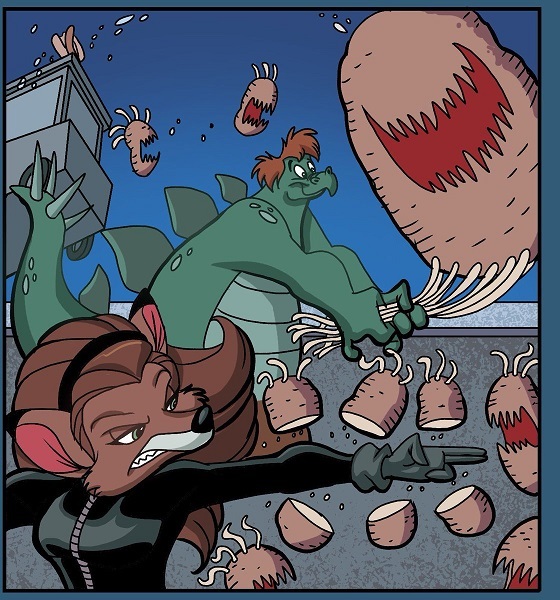 We wanted to be able to do some “villain of the month” type stories, and Lilliput Gooney is not going to have a plotline that carries a four-issue arc. CAC: Seven issues of Joe Books’ Darkwing Duck have been released so far (with a trade collecting the first four issues in Darkwing Duck Vol. 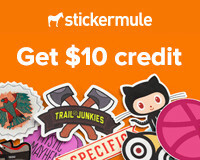 1: Orange is the New Purple released last month). In issue 6, Darkwing and family attended St. Canard Comic Expo-Con-Fest-O-Rama. Roughly speaking, how much of those comic book nods and gags were from you versus your collaborators? I think I spent more time analyzing what was going on in the background than reading the actual story. And those nods to ’90s comics and The Dark Knight Returns/Batman v Superman: Dawn of Justice were incredible. AS: It’s a collaborative process. I write most of the jokes in the script, and James will suggest some when he reads it, and then he adds some in the arc. Nine times out of ten, any artistic easter eggs are all him. When our Assistant Editor Janice reads the script, she’ll give us notes, and sometimes she’ll suggest a dialogue gag that we use. She actually named the first arc during a conference call… she jokingly suggested “Orange is the New Purple” and we were all quiet for a moment… she probably started to feel self conscious… and then we were like, “Yeeeeeah, that’s it!” I don’t think she ever dreamed it would pass approval, but it did! Editor Jesse Post suggests things as well… in fact, he came up with almost all of the ridiculous booth names at the convention in issue six. “Hamburger Sticks” remains my favorite, with “Yesterday’s Zietgiest” a close second. 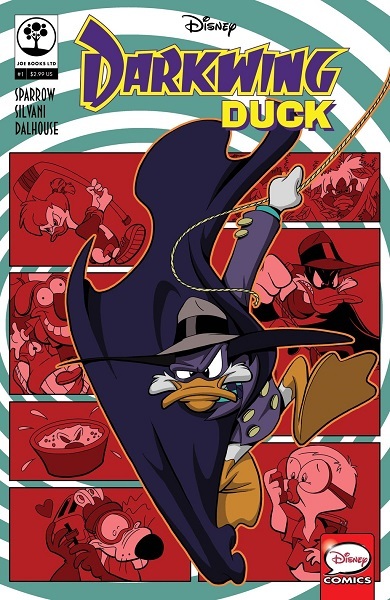 CAC: Next week brings us issue seven of Darkwing Duck. What can readers anticipate about this upcoming issue? AS: Issue 7 sees our first story focusing on a singular member of the Fearsome Five. Posey, the vampire potato, returns in a spiritual sequel to the classic “Night of the Living Spud” episode, so we get to focus on Dr. Bushroot. We also get to play with a lot of classic zombie movie tropes, so there are some really fun homages throughout. And, of course, the long-awaited return of Gizmoduck! CAC: Now, there’s an issue of Darkwing Duck coming out next week, but issue eight is scheduled for June. Why the break? AS: My understanding Issue 8 should be out in February. I’m not sure where you heard June. CAC: There certainly seems to be a lot more Darkwing Duck stories to tell. The disappearance of Morgana Macawber, the absence of Fenton Crackshell, the alliance between Fluffy and Mortimer, and Phantom Blot’s plans are some of the big hanging plot threads. And, personally speaking, I’m hoping for some Justice Ducks action. What can fans do to make sure we will get to see those stories? AS: You’re going to get a soft version of one of those requests in issue 8. If you want to see the answer to the rest of them, you’ve got to support the series with your dollars and your word of mouth. Tweet your desire for more issues to the Joe Books and Disney Comics twitter feed. Go to Disney fan sites and tell people about the series. Get your friends to try it out, tell your comic shop they need to stock and promote it. And most importantly, buy the issues and order the trade collections. Independent comic companies generally only break even on single issues, if they’re lucky… the trades are where they ultimately decide whether the series is viable. CAC: Darkwing Duck has had ties to DuckTales since before his actual creation with the Double-O Duck pitch. St. Canard has seen the likes of Launchpad McQuack, Gizmoduck, Beagle Boys, Magica De Spell, Scrooge McDuck, and Doofus Drake making the trek from Duckburg. What are your thoughts on DuckTales returning to television this year? Also, will the show have any impact on its characters being used in Darkwing Duck? AS: So far, the DuckTales reboot hasn’t affected us much. Frank Angones, the producer in charge of the new DuckTales show, reads the Darkwing Duck comics, which is amazingly flattering. James and I were given the opportunity to hang out at the Glendale studio and see what they’re working on with the new show… believe me when I say that this is going to be the must-see cartoon show of 2017. Frank and his team are really tapped in to what makes these characters exciting, and have somehow managed to create something that feels like the classic show, but is at the same time entirely fresh and new. I can’t wait for everyone to see it. CAC: You’ve added your voice to the campaign to bring the Gargoyles back to comics at Joe Books (Gargoyles‘ creator Greg Weisman having helped developed Darkwing Duck for television). Are you a fan of the series? AS: I love Gargoyles. It was so ahead of its time… you could still air it today and it doesn’t feel dated at all (aside from maybe, characters using cassette tapes!) Greg really created a rich world, and there’s so many stories still to be told. If there’s any property that deserves a revival, it’s Gargoyles. CAC: Is Darkwing Duck your only project right now or are you working on other projects at the moment or in the near future? You can find Aaron Sparrow on Twitter and Instagram for the latest updates on his projects and Darkwing Duck. 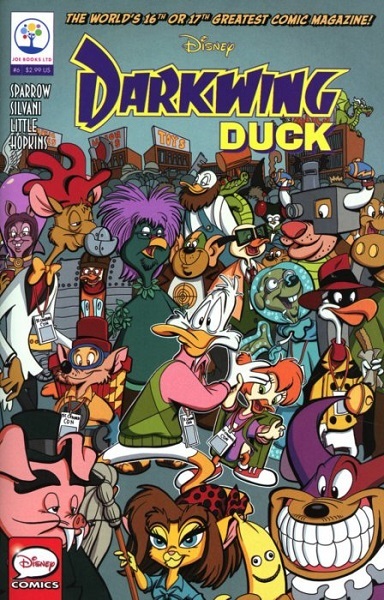 You can buy Darkwing Duck comics at your local comic store as Darkwing Duck Vol. 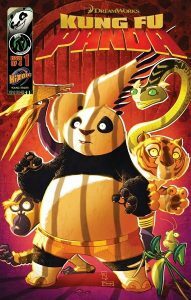 1: Orange is the New Purple was just released last month collecting the first four issues of the Joe Books series.